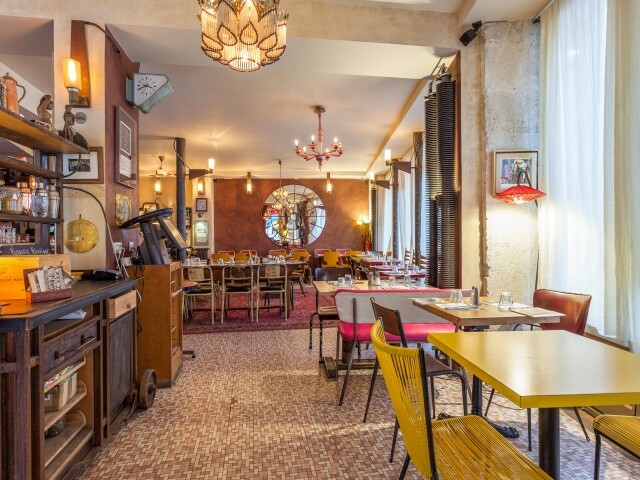 Nestled at the foot of the Buttes auxCailles la Butte aux piafs offers you, in a decor that is refined to the last detail, a fresh and creative cuisine. Attractive for meat lovers with its French touch burgers, it is also for vegetarians in search of originality. You will be tempted by its nature wine list with gouaillant names. Finally, enjoy on the terrace red cherry signature cocktail (bitters and syrups homemade) that will delight your taste buds.